There are many factors that influence one’s CIBIL score and one of them is a low credit utilisation. Credit utilisation is the total amount of credit you spend as against the total amount made available to you. To have to credit limit increased automatically, you need to prove to your credit card issuer that you are a trustworthy customer. The only way to do so is to follow the golden rules of credit card usage i.e make timely repayments, spend small amounts on your card, keep your credit utilisation and most important of all repay within the billing cycle. If you simply follow these basic rules, chances are that the card issuer or your bank will automatically increase your credit limit from time to time. If you have been doing everything right and have not seen an increase in your credit limit in the last six months, make the call your card issuer or bank yourself and make the request for an increase in your credit limit. Make sure you bring your good credit behaviour to their notice. Chances are, they may not have noted it yet or it’s just a case of negligence that you card limit has not been enhanced yet. In such cases, a polite reminder will not hurt! If you make the call and your request gets denied on account of a poor CIBIL score, it is very likely that you will be taken aback because you thought you were indeed doing everything right as far as your credit usage is concerned. The problem may not be your credit conduct but a reporting error on your CIBIL report. Sometimes errors and discrepancies creep in into CIBIL reports given the huge amount of data that lenders and credit bureaus handle. This is the reason why periodic checks of your CIBIL report is so important. If your bank denies you an increase in your credit limit, go back to your CIBIL report and check for errors. In case you spot any, make sure you raise a CIBIL dispute right away and wait for the rectifications to reflect on your report before you make a request to your card issuer again. 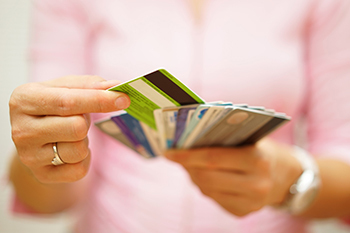 As we have pointed out so far, increasing your credit limit on your card has its advantages. However, make sure you are taking this step for the right reasons, such as dealing with a work related expense or a medical condition that will be reimbursed later, by your company or your insurer. But for those who are already in debt, or struggling to meet expenses increasing one’s credit limit may be the equivalent of stepping on a live wire, so make sure you are tread with caution!